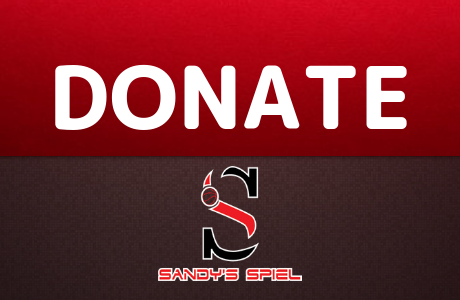 Sandy’s Spiel Mr. Basketball: Ashton Hagans, Newton, Jr.
G – Devin Vassell, Peachtree Ridge, Sr.
G – Eli Lawrence, Tri-Cities, Sr.
G – Kyle Sturdivant, Norcross, Jr.
F – Jamari Dean, Cedar Grove, Sr.
F – Jamari Smith, Jonesboro, Sr. Player of the Year: Ashton Hagans, Newton, Jr.
Best Scorer: EJ Montgomery, Wheeler, Sr.
Best Shooter: Adam Flagler, Duluth, Sr.
Best Rebounder: Kalu Ezkipe, Discovery, Sr.
Best Passer: Ashton Hagans, Newton, Jr.
Best Shot Blocker: Amari Kelly, Meadowcreek, Sr. Most Underrated: Montae Terrell, Tift County, Sr.
G – Tony Jonhson, Berkmar, Sr.
C – Kalu Ezkipe, Discovery, Sr.
G – Dwight Murray, Pebblebrook, Sr.
G – Nick Edwards, Grayson, Sr.
G – Terrell Burden, Campbell, Jr.
G – Brandon Boston, Norcross, So. G – Jaxon Etter, Etowah, Jr.
G – Spencer Rodgers, Mountain View, Sr.
G – Adam Flagler, Duluth, Sr.
G – Christian Wright, Milton, So. F – Mervin James, Pebblebrook, Sr.
C – Babatunde Akingbola, McEachern, Jr.
C – Ahmir Langlais, Parkview, Jr. Player of the Year: Landers Nolley, Langston Hughes, Sr.
Best Scorer: Landers Nolley, Langston Hughes, Sr.
Best Shooter: Landers Nolley, Langston Hughes, Sr.
Best Rebounder: Jamari Smith, Jonesboro, Sr.
Best Passer: Xavier Bledson, Gainesville, Sr.
Best Shot Blocker: Brady Spence, Alexander, Jr. Most Underrated: Joe Jones, Northview, Jr.
G – Messiah Thompson, North Atlanta, Jr.
G – Kamar Robertson, Cambridge, Jr.
G – Adrian Martin, Lanier, Sr.
G – Kalen Williams, Lakeside-Evans, Jr.
G – Marcus Scott, Brunswick, Sr.
G – Jackson Greco, Sequoyah, So. G – Malik Battle, Douglas County, Jr.
G – Xavier Bledson, Gainesville, Sr.
C – Brady Spence, Alexander, Jr. Player of the Year: Nelson Phillips, Warner Robins, Sr.
Best Scorer: Nelson Phillips, Warner Robins, Sr.
Best Shooter: Brandon Thomas, Eagle’s Landing, Sr.
Best Rebounder: Lorenzo McGhee, Columbia, Sr.
Best Passer: Alex Jones, Buford, Sr.
Best Shot Blocker: Omarion Smith, Lithia Springs, Fr. Most Underrated: Vinnie Viana, North Springs, Sr.
F – Lorenzo McGhee, Columbia, Sr.
F – Dontavius King, Dutchtown, Jr.
G – Marquavius Carter, Maynard Jackson, Sr.
G – Justin Quick, Flowery Branch, Sr.
G – Ziven Alexander, Lithonia, Sr.
G – Daniel Cooper, Statesboro, Sr.
G – Javonte Hart, Villa Rica, Sr.
G – Lorenzo Anderson, Miller Grove, Sr.
F – Drew Hudson, Starr’s Mill, Sr.
F – Josh Taylor, Columbia, So. F – Quamonte Monfort, Clarke Central, Sr.
F – David Viti, Buford, Sr.
C – Nathan Presnell, Hiram, Jr. Player of the Year: Tye Fagan, Upson-Lee, Sr.
Best Scorer: Tye Fagan, Upson-Lee, Sr.
Best Shooter: Everett Lane, St. Pius X, Sr.
Best Rebounder: Travon Walker, Upson-Lee, Jr.
Best Passer: Matt Gonzalo, St. Pius X, Jr.
Best Shot Blocker: Walker Kessler, Woodward Academy, So. Most Underrated: Kam Miller, Sandy Creek, Sr.
G – Everett Lane, St. Pius X, Sr.
G – Cam Holden, Mary Persons, Sr.
G – Jay Jefferson, Troup, Sr.
G – AJ Watts, Carver-Columbus, Jr.
F – TJ Bickerstaff, Sandy Creek, Jr.
G – TJ Horton, Cartersville, Sr.
G – Zyrice Scott, Upson-Lee, Jr.
G – Jhaquez Anderson, Northside-Columbus, Jr.
G – Zayveon Williams, Burke County, Sr.
G – Brenden Robertson, Baldwin, Sr.
F – Joshua Lusane, Americus-Sumter, Jr.
F – Tabais Long, Salem, Sr.
F – Jon Morgan, LaFayette, Sr. 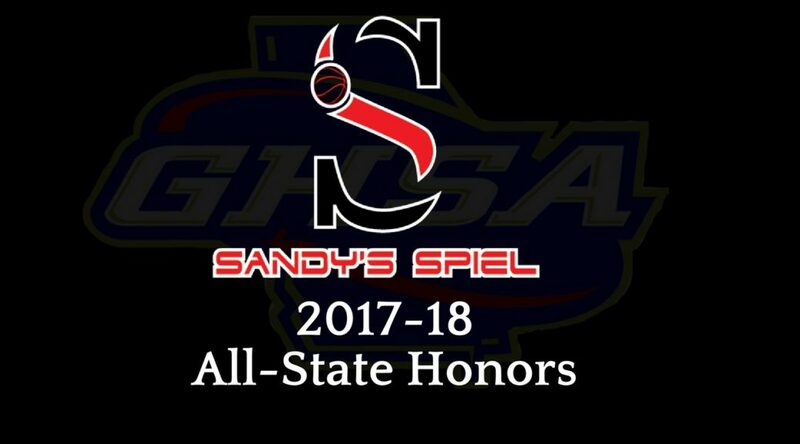 Player of the Year: Khavon Moore, Westside-Macon, Sr.
Best Scorer: Khavon Moore, Westside-Macon, Sr.
Best Shooter: Alec Woodard, Morgan County, Jr.
Best Rebounder: Jamari Dean, Cedar Grove, Sr.
Best Passer: Kanuri Williams, Central-Macon, Sr.
Best Shot Blocker: Elavian Bowles, Johnson-Savannah, Sr. Most Underrated: David Manigo, Towers, Sr.
F – Amanze Ngumezi, Johnson-Savannah, Sr.
F – Greg Holloway, Westside-Macon, Sr.
F – Kylan Hill, Central-Macon, Sr.
G – Eleik Bowles, Johnson-Savannah, Sr.
G – Stevin Greene, Morgan County, Jr.
G – JaVen Flowers-Smith, Redan, Fr. G – Tyrone Scott, Jenkins, Sr.
G – Ben Sheppard, GAC, Jr.
G – Wil Walraven, Sonoraville, Sr.
G – Cullen Reed, Dawson County, Sr.
G – Brice Paster, Peach County, Sr.
G – Zimbabwe Fields, Windsor Forest, Jr. Player of the Year: Reggie Perry, Thomasville, Sr.
Best Scorer: Kameron Pauldo, Dublin, Sr.
Best Shooter: Chris Jennings, Berrien, So. Best Rebounder: Ja’Queze Kirby, Jeff Davis, So. Best Passer: Darius Bonds, Banks County, Sr.
Best Shot Blocker: Dylan Orr, Banks County, Sr. Most Underrated: Nicholas Clifton, Screven County, Sr.
F – Timmy Sellers, Glenn Hills, Sr.
G – Tim Williamson, Glenn Hills, Sr.
G – Dondre Barnes, South Atlanta, Sr.
G – Deandre Brown, Therrell, So. F – Clarence Jackson, Dublin, Sr.
G – Tahj Jones, Vidalia, Sr.
G – Nick Cummings, Dodge County, Sr.
G – Donald Henley, Laney, Sr.
G – Darius Dunn, Northeast-Macon, Jr.
G – Vonterius Woolbright, Thomasville, Jr.
F – Torenio Davis, Bleckley County, Sr.
F – Carl Cleveland, Banks County, So. F – AJ James, Elbert County, Jr. Player of the Year: Dwon Odom, St. Francis, So. Best Scorer: Lamar Oden, SACA, So. Best Shooter: Micah McAllister, Landmark Christian, Jr.
Best Rebounder: Tre Gomillion, Aquinas, Sr.
Best Passer: Dwon Odom, St. Francis, So. Best Shot Blocker: Christian Koneman, Christian Heritage, Sr. Most Underrated: Dalton Meeler, Prince Avenue, Sr.
F – Lamar Oden, SACA, So. G – Devin Butts, Stratford Academy, Jr.
G – Christian Jackson, Greenforest, Sr.
G – Daniel Parrish, Aquinas, Sr.
G – Garrison Powell, Holy Innocents’, Fr. G – Micah McAllister, Landmark Christian, Jr.
G – Ahmad Abdur-Rahman, WD Mohammed, So. G – Hunter Norman, North Cobb Christian, Sr.
G – Jaylyn Clark, Greenforest, Sr.
F – Jamaine Mann, ELCA, So. F – JD Hull, Darlington, Jr.
F – Sutton Eggena, Brookstone, Sr.
F – Tahj Keeton, Mt. Vernon Presbyterian, Sr. Player of the Year: Rashun Williams, Calhoun County, Sr.
Best Scorer: Daveaun Coglin, Montgomery County, Sr.
Best Shooter: Clayton Jenkins, Macon County, Sr.
Best Rebounder: Tylan Grable, Wilkinson County, Sr.
Best Passer: Jamaal Rice II, Macon County, Sr.
Best Shot Blocker: Amari McGriff, Lanier County, So. Most Underrated: TJ Cagle, Mt. Zion-Carrollton, Sr.
G – Jaylen Lamar, Wilkinson County, Jr.
G – Daveaun Coglin, Montgomery County, Sr.
G – Preston Crisp, Woodville-Tompkins, Jr.
G – Malik Foston, Georgia Military, Jr.
F – Jahleel Wilson, Montgomery County, Sr.
G – Shahee Billings, Quitman County, Sr.
G – Arkavias Lovett, Treutlen, Jr.
G – Charleston Willingham, Woodville-Tompkins, Jr.
G – Kamron Jordan, Treutlen, So. G – Jarquavius Brown, Dooly County, Sr.
G – Yizar Rainwater II, Fulton Leadership Academy, Sr.
G – Keundre Campbell, Webster County, So. G – Shaw Robinson, Montgomery County, Sr.
G – Josh Rodgers, Marion County, Jr.
F – Kerry Richardson, Elite Scholars Academy, Sr.